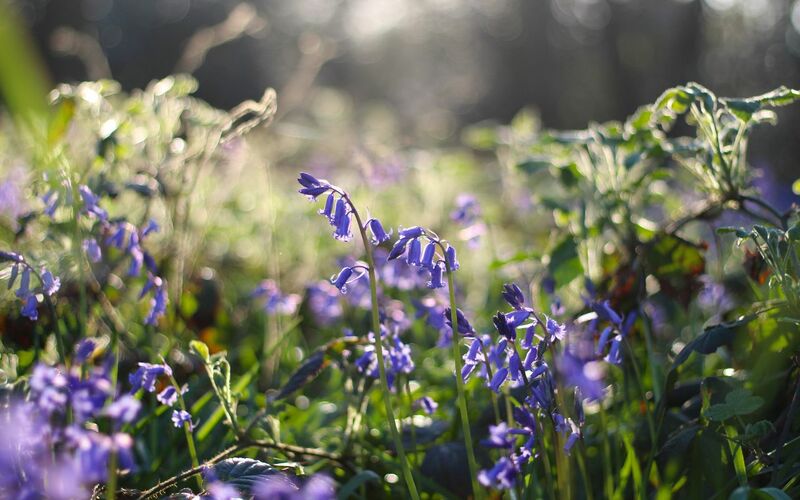 From the rustle of leaves underfoot in autumn to the vibrant spread of bluebells in spring and the earthy scent of moss-covered hillocks and ancient trees; there’s something particularly magical about Irish woods. In Galway, we’re lucky to have many woodlands and trails open to the public. Here we’ve gathered some of our favourites across the County. Stay local and head out for this easy walk through woodland and beaches, one of the few green spaces available so close to Galway. Don’t be put off by its proximity to local housing estates, as the area feels very secluded once you’re on the trail. Over a few square kilometers walkers can enjoy woodland and streams, marshes and beaches, and glacial cliffs. At the end of the summer, Rusheen is a brilliant place for birdwatching. Find it: 7km west of Galway city centre on the R336 coast road towards Spiddal, there are car parks for Lough Rusheen (left) and Barna Woods (right) just after a petrol station. Including over 450 hectares of land, the Portumna Forest Park includes a 15th century abbey, a restored 17th century castle, and plenty of beautiful woodland to enjoy. Semi-natural woodland grows along the lake shore, and walkers should keep an eye out for red squirrel frequently encountered in the area. There is also a large population of Fallow deer! There are four walking trails of varying distances, and one trail is to multi-access standard. Find it: From Portumna take the R352 heading towards Mountshannon. The park entrance is 1km from the town on the left hand side. More info here. There are four trails of varying lengths, from 1.4 kilometers to 7.4 kilometers, all beginning at the eco-friendly Slieve Aughty Centre outside Loughrea. 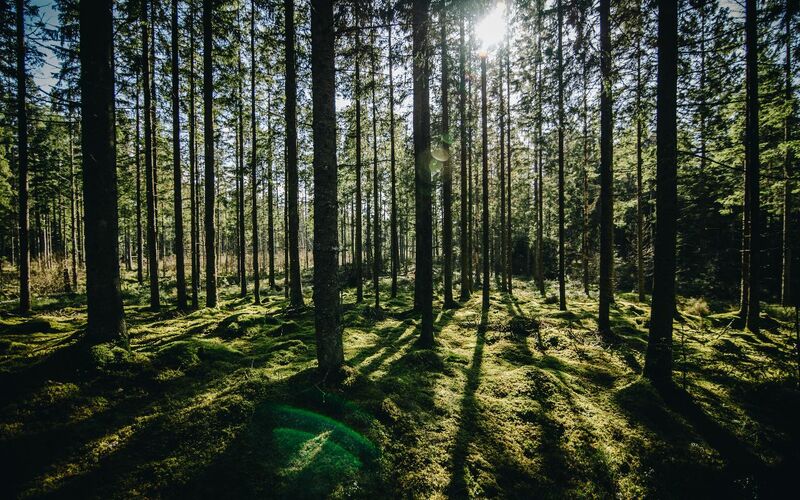 Bring your wellies for a walk through bog land, explore the Coillte pine forests, walk along the banks of the Duniry River, and find the preserved stand of natural oaks and beeches on the longest trek. The deep-rooted trees are covered in moss, giving it a very enchanted feeling! Find it: On arriving to the Slieve Aughty Centre, go to the Nature Hut or stop by the reception to borrow a map, and explore the woods following coloured horse shoes. More info here. Seven way-marked trails of varying lengths and difficulties await in the Burren National Park, varying from thirty minute walks to three hour hikes. On one of the spectrum, a 1.5km looped trail is very doable and on the other end is a 7.5km trek through steep, remote upland. Whichever you choose, you’ll get to experience the beautiful and unusual limestone and flora of the Burren landscape. Find it: The Burren National Park is situated on the south-eastern side of the Burren, in north Co. Clare. To access the park, from Corofin, take the R476 to Kilnaboy. In Kilnaboy, take the right turn (L1112) before the ruined church. Approximately 5 kilometres along this road you will reach a crossroads. 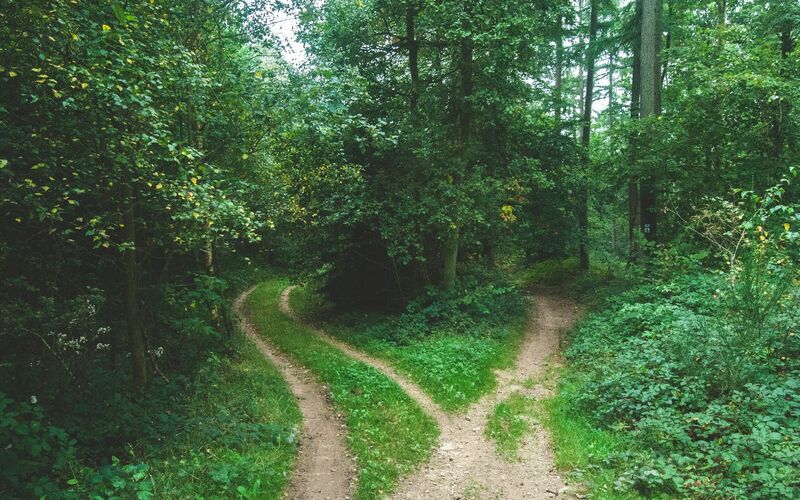 There is a lay-by just before this crossroads on the right. Then on foot, turn right, along the ‘Crag road’, Burren National Park lands are on your left. Please park in the lay-by not on the crag road to avoid damage to the vegetation. More info here. South of Galway, Coole Park was once the home of dramatist Lady Gregory and the inspiration for poet W.B. Yeats. There are two way-marked trails through Coole Park to choose from. The Family Trail is 1.75km, which takes walkers past the old house and walled gardens of the grounds, through woodland with views of the river, and finally past the Fallow deer enclosure before ending at the Visitor Centre. The ‘Seven Woods Trail’ is 4.5km and takes walkers through woodlands made famous by W.B. Yeats and past the outhouses of the property including stables and kilns. The Garryland Woods on the same grounds are a less-popular walk but equally beautiful, with limestone pavement and unusual woodlands of oak, ash and yew. Due to its proximity to turlough, the area is prone to flooding. Find it: Off N18, 4km north-west of Gort, Co Galway. More info here. You’d do best to leave one car at the start and one car at the finish of this walk if possible, as it’s a 9km linear walk from the Hill of Doon viewpoint to Maam Cross. 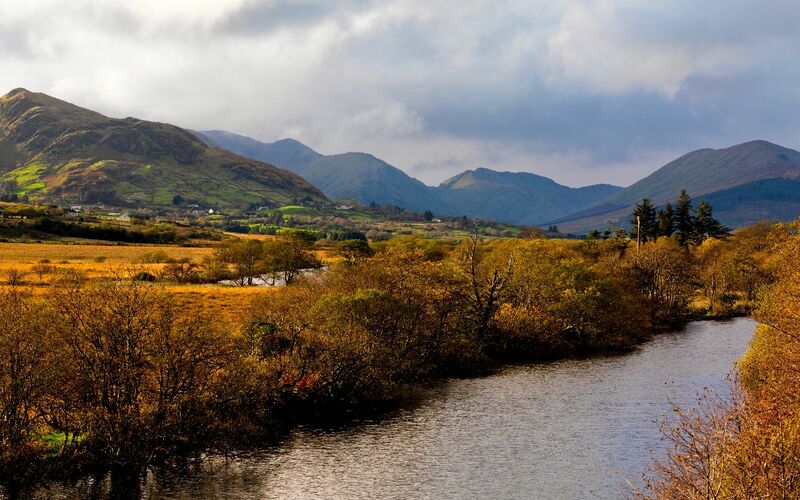 Here, you’ll pass through the heart of forest and bogland in Connemara. A four-kilometre bridge trail carries you across bog into Lackavrea Forest, which follows the winding Folore River. Absolute peace and quiet can be had here, and it’s also an excellent place for fishing! It can be very wet, though, so dress accordingly. Find it: At Oughterard Village, turn right at the Square and drive over the bridge onto the Glann Road. Enjoy a scenic drive along the shores of Lough Corrib, popular with fishermen. This scenic drive is beautiful in its own right and it ends at approx 9 miles later, at the Hill of Doon. The trailhead begins here. Rich with folklore and myth, Knockma Wood is an easy, family-friendly walk through a small natural woodland. The legendary Queen Madb of Connacht is supposedly buried in the neolithic cairns on the summit of the hill, which offers beautiful views of the surrounding area. According to legend, Finnbhearra, King of the Connacht fairies, is buried alongside the warrior queen. The wood is also home to a 13th-century tower house and turlough lakes, which appear in winter and disappear in summer. Visitors can expect to spend 90 minutes exploring the wood through easy terrain. Find it: A few kilometres west of Tuam, north Co. Galway, on the R333. Get more here. This woodland, now maintained by Coillte, was once part of the Ffrench estate (yes, two F’s!). The Ffrench family left it to the Irish Nation on the death of Miss Cathleen Ffrench. One of the main features in the forest is the Ffrench family Mausoleum, which is as impressive today as when it was constructed in 1900. The forest is full of coniferous areas, liberally interspersed with broadleaf trees, with a rich understory of briar, fern and ivy. There is also a natural regeneration of beech, ash, hazel and other natural Irish wood. Two waymarked trails, either the mass track trail (1.3km) or the historic trail (1.5km) will lead you through the forest. Find it: 8km North of Athenry off the L54. Get more here.